Waynesburg University’s fully accredited Doctor of Nursing Practice (DNP) Program now of fers two degree plans implemented to better accommodate the needs of the working professional. The University’s DNP Program, offering a terminal professional degree that focuses on the clinical aspects of nursing rather than academic research, can now be completed through a three-year or a four-year track. In addition to a new degree plan, the DNP Program recently named Dr. Kimberly Stephens and Dr. Kimberly Whiteman co-directors of the Program. Dr. Stephens and Dr. Whiteman have been with Waynesburg University since 2008 and 2009, respectively. Prior to transitioning into their current roles, they served as assistant professors of nursing in the University’s Graduate and Professional Studies Program. Both are also graduates of the program which they now oversee. Waynesburg University established its DNP Program in 2007 as one of the first 25 DNP programs in the United States. 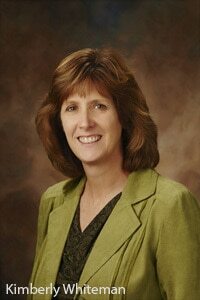 From 2004 to 2006, Dr. Nancy Mosser, professor of nursing and chair of the Department of Nursing at Waynesburg University, served as a committee member of the American Association of Colleges of Nursing DNP Roadmap Task Force. The committee was charged with examining DNP program development, master’s-to-doctoral transition programs, regulations, licensure, reimbursement for advanced practice and other issues. The Roadmap Task Force worked closely with the DNP Essentials Task Force, whose goal was to develop curricular and content requirements for DNP programs. Dr. Mosser and other committee members from both task forces attended regional meetings across the country to obtain input related to DNP program development from a number of constituencies. “The exploration and development of the DNP Program at Waynesburg is consistent with the guidelines developed by both committees,” Dr. Mosser said. Waynesburg’s DNP Programs differs from Doctor of Philosophy (Ph.D.) programs because the focus is on evidence-based practice and systems leadership that has an immediate impact on the quality of health care delivery, rather than on developing programs of original research as traditional Ph.D. program graduates do. According to Dr. Mosser, Waynesburg’s DNP Program serves as a natural extension to the University’s Master of Science in Nursing degree program with a concentration in administration, but also is appropriate for those with education, informatics and advanced practice backgrounds. “In this program, students enhance their understanding of principles of leadership and are ready to assume an active role in promoting the highest quality health care delivery from a values-based perspective,” Dr. Mosser said. Among the students in the University’s DNP Program are administrators, educators, executive leaders,certified registered nurse practitioners, clinical nurse specialists and certified registered nurse anesthetists from all over the country. With their dedication to leading a quality program and personal experience within the program itself, both Dr. Stephens and Dr. Whiteman are assets to the DNP Program. Before joining Waynesburg, Dr. Stephens served as a professor of nursing at the Community College of Allegheny County and an education and staff development specialist for the West Penn Allegheny Health System. She also worked in a variety of clinical settings including rehabilitation, oncology and home care at major hospitals throughout the Pittsburgh area. 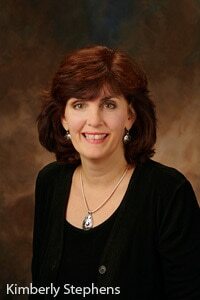 In addition to a DNP degree from Waynesburg University, Dr. Stephens holds a Master of Science in Nursing and a Bachelor of Science in Nursing, both from Duquesne University. Dr. Whiteman served as an adjunct faculty member at the University of Pittsburgh Graduate School of Nursing and a nurse educator with UPMC Presbyterian prior to joining Waynesburg. She also served in various roles within the Liver Transplantation Intensive Care Unit at UPMC and as a staff nurse at Hershey Medical Center and UPMC. Dr. Whiteman received a DNP degree from Waynesburg University, a Master of Science in Nursing from the University of Pittsburgh and a Bachelor of Science in Nursing from Pennsylvania State University. Waynesburg University’s 36-credit DNP Program is offered at one of three suburban Pittsburgh locations, Southpointe, Monroeville or North Hills, determined by the geographic location of admitted students. Each course meets one weekend every other month in the 15-week semester, with learning activities and assignments to be completed between seminars. The program has been approved by the Middle States Commission on Higher Education and accredited by the Commission on Collegiate Nursing Education.